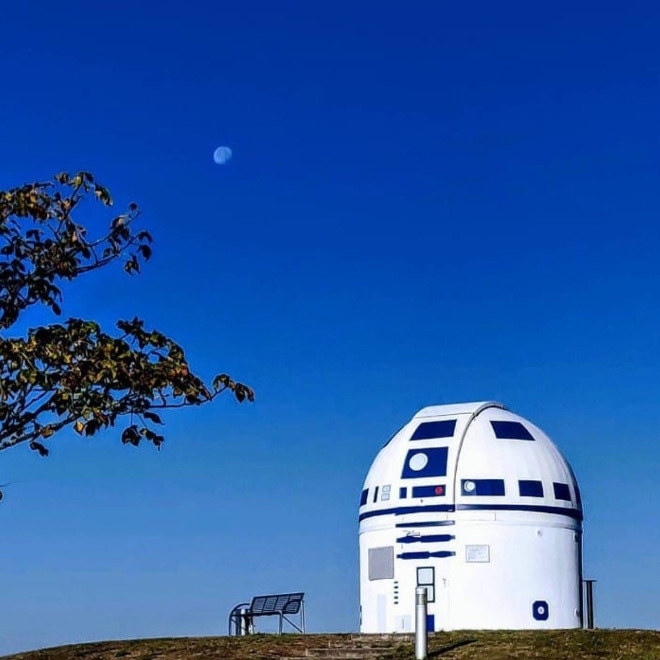 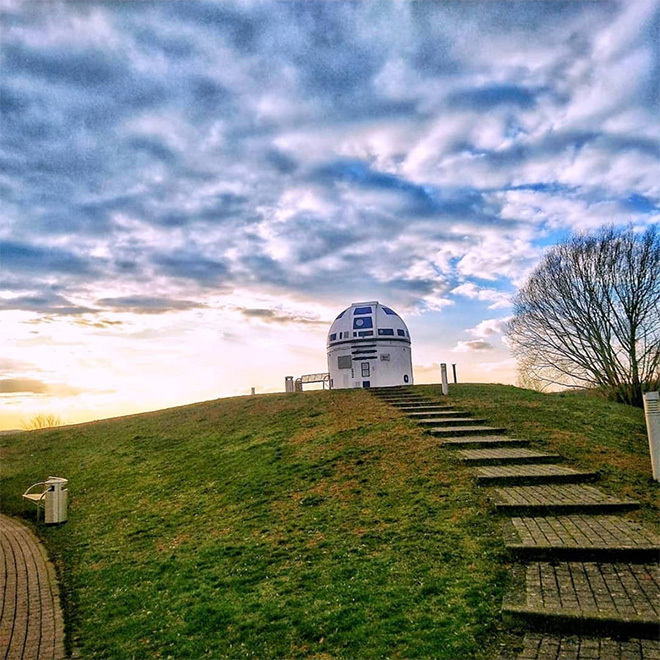 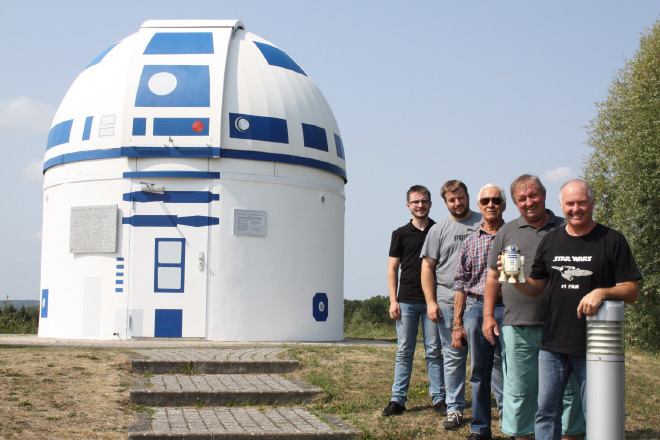 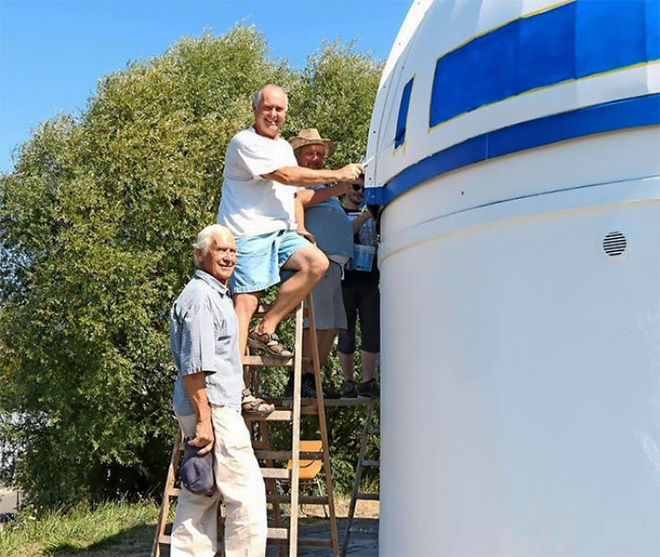 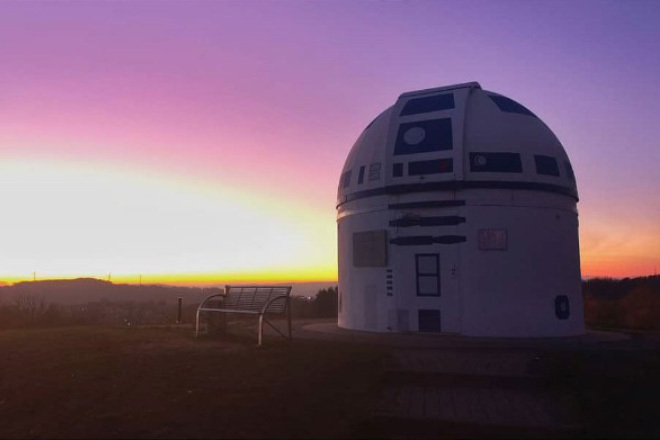 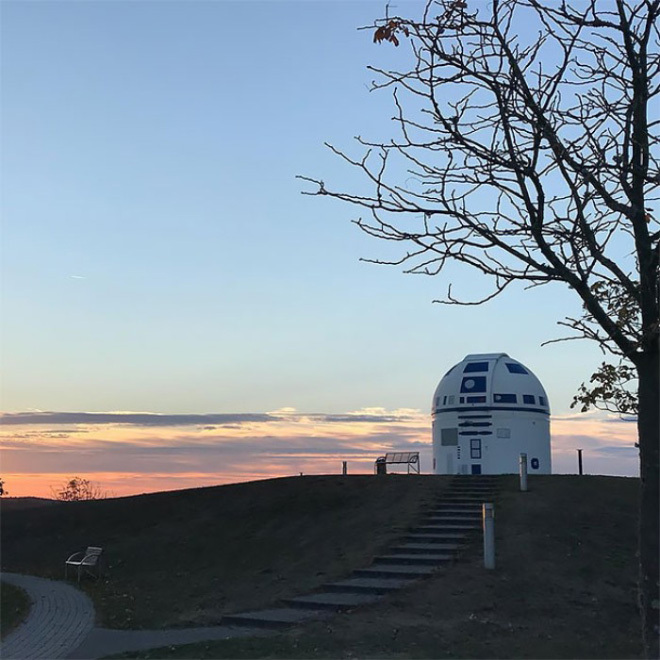 In a galaxy far far away (Germany) Hubert Zitt, professor at the Zweibrücken University of Applied Sciences, along with a small team, transformed the Zweibrück Observatory of the Natural Science Association into a giant R2-D2 and it’s really out of this world. 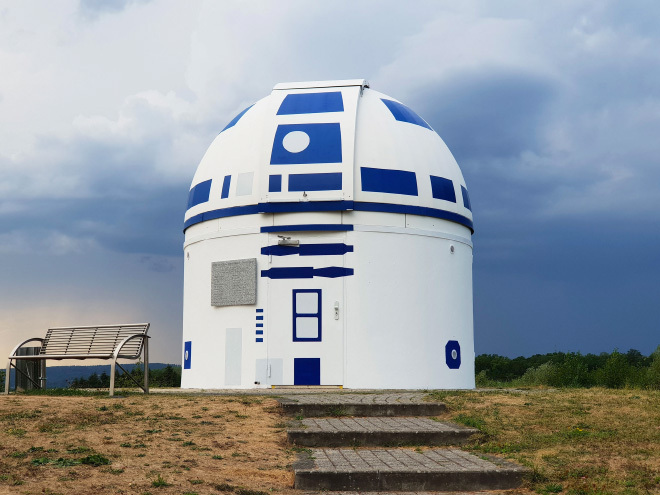 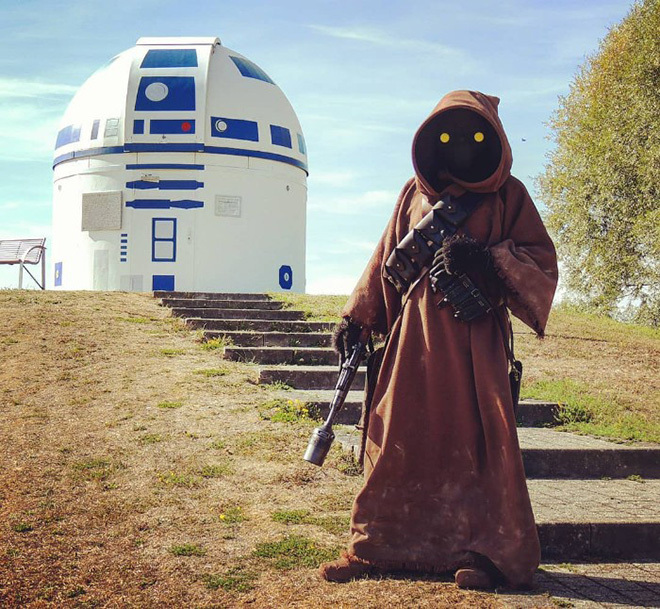 The professor completed this project in late 2018, aided by his father-in-law Horst Helle, the master painter Klaus Ruffing and several helping students and it has caught the eyes of Star Wars fans everywhere. 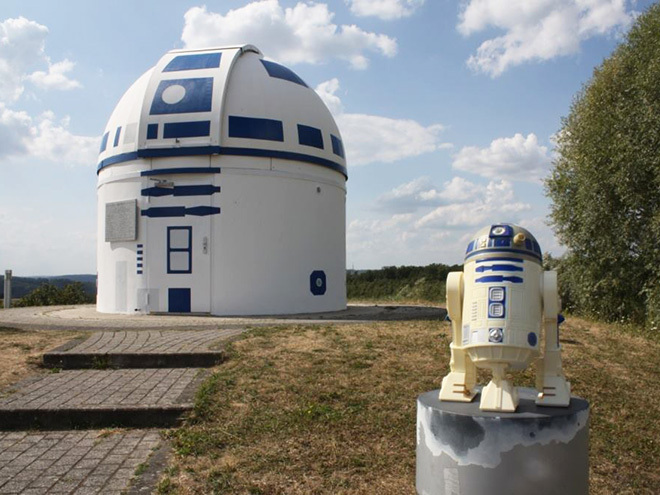 Hubert Zitt is well known for his Star Wars and Star Trek expertise. 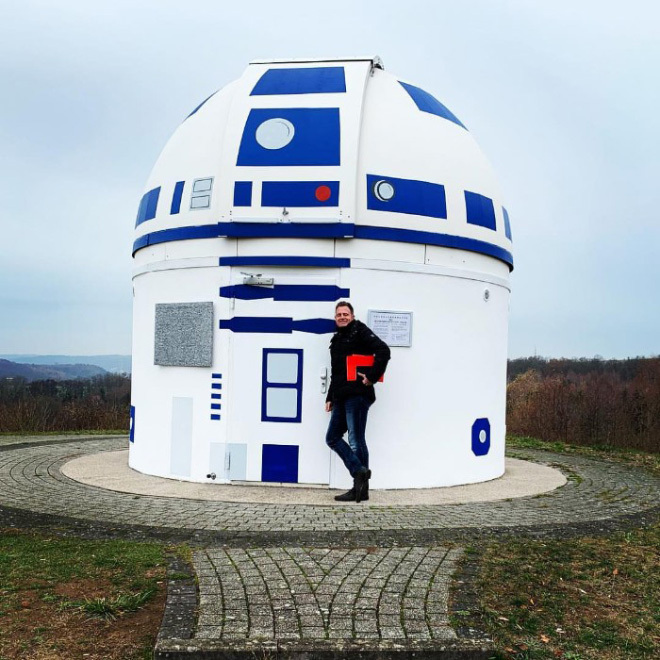 He gained worldwide acclaim as a Global Top Speaker for his lectures on Star Trek where he presented the topic in a unique style that people couldn’t get enough of. 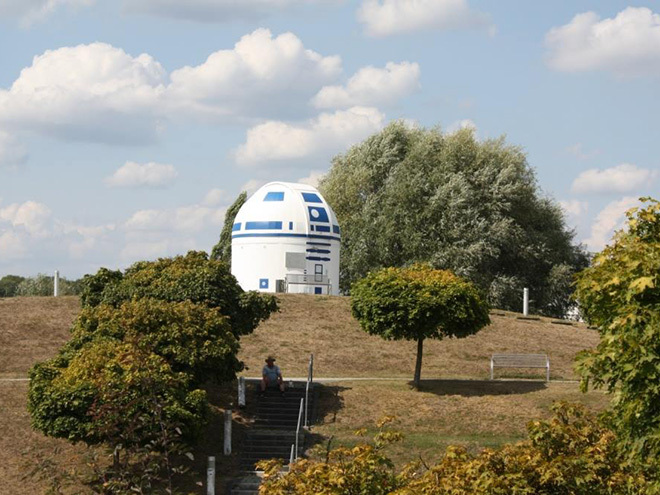 In 2005 he took his lectures on the road to other cities at other universities and conventions such as FedCon, Europe’s biggest Science Fiction Convention. 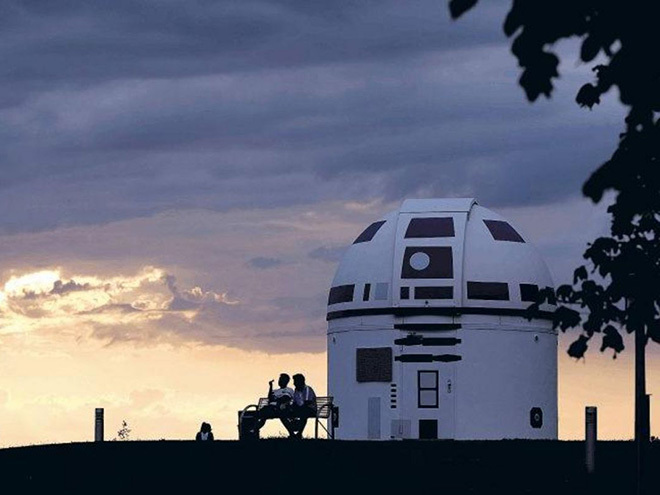 In 2008 he became a regular lecturer at the The University of the Incarnate Word in San Antonio, Texas teaching “The Physics of Star Trek”. 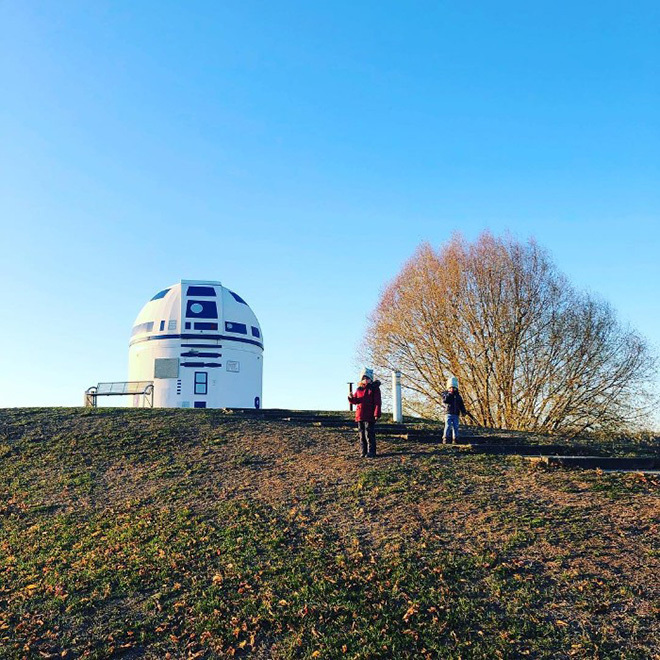 If you enjoyed this post, you may also like The Daily Mundane Life of Darth Vader, Classic Music Albums And Star Wars Mashup, and Darth Vader And Son. 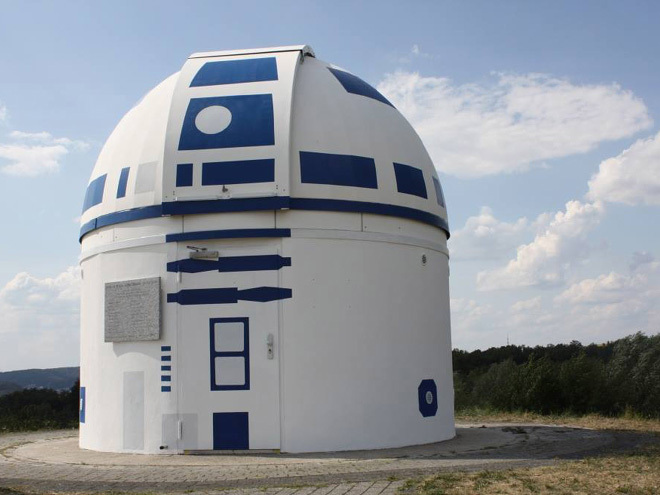 In my humble opinion – an act of sublime nerdiness and absolute stellar beauty. 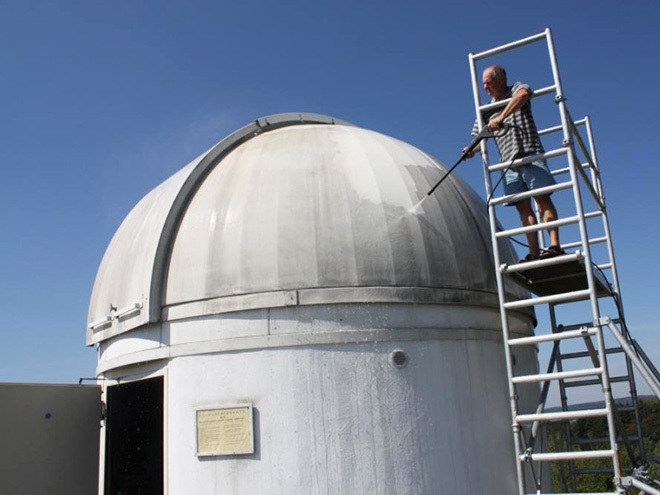 Nerdiness aside , there is not one pic of this accomplishing anything Astronomy related , no inside shots , no top opened . 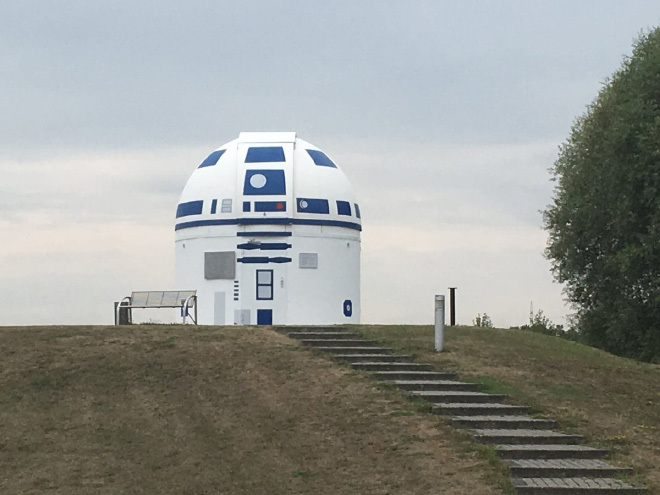 Does this structure even function as an observatory ? 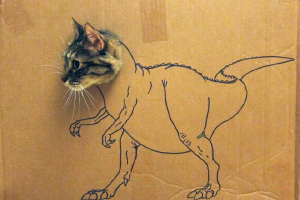 The overtaxed public demands answers !